Bloodroot (Sanguinaria canadensis) is an herbaceous perennial and supposedly a common wildflower in New England, although I do not know of anywhere it grows wild near here. Hardy to zone 3, bloodroot likes moist, acid soil and full sun to partial shade, and if you give it lots of decayed organic matter, it will thrive in a garden setting. 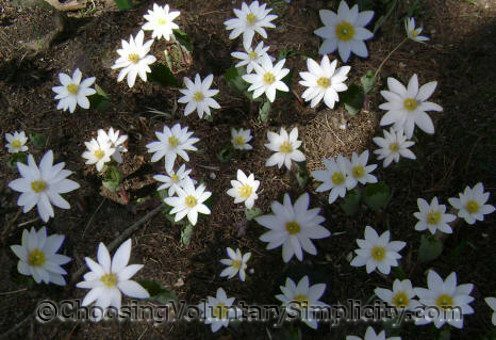 Bloodroot flowers are some of the first flowers to appear in spring, usually growing in clumps of several plants that increase rapidly. When the bloodroot flower is a bud, it has one leaf wrapped around it. This leaf does not fully open until after the flower is in full bloom, so in early spring there will be a large white flower (one to two inches across) at the tip of each six to twelve inch stem and a small curled up leaf at the base of the stem. 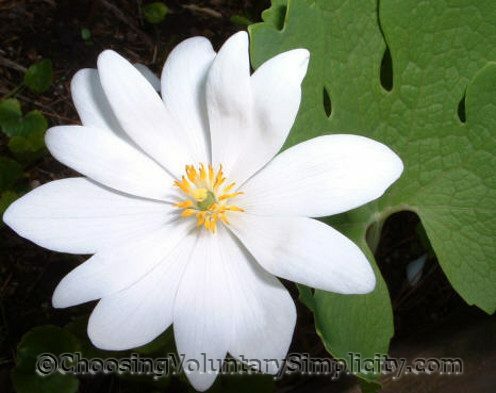 Bloodroot flowers can have anywhere from seven to sixteen alternating broad and narrow petals. The flowers will open in the morning and close in the evening and also on very cloudy days. As the flower fades, the leaf continues to grow and often becomes as large as eight inches across. The leaves are heart shaped and deeply lobed, with wavy or toothed edges, and the top side is smooth and a darker color than the underside, which shows prominent orange veins. Bloodroot gets its name from the red orange sap that runs through every part of the plant but is darker in the root. Whenever the plant is cut, it “bleeds,” and the sap does look very much like blood. It is possible to start new plants from seed, although it is easier to divide the thick rhizomes, which should be done in late summer or early fall. 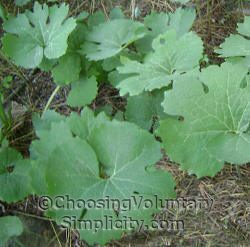 Many years ago, when my parents were newly married and my father was on a fishing trip, he came across massive clumps of bloodroot growing around the remains of an old house in the woods near a pond. He thought the flowers were beautiful, so he dug up a few plants to bring home to my mother. When we built our house here, she gave me some of her plants, so my bloodroot has its own family history! I love the family history story. I have two bloodroot plants that I bought last year. Neither are doing very good but after reading your article I think maybe the soil is too dry and doesn’t have enough plant stuff in it. Thanks for all the great info. I just love your blog. This flower spreads very rapidly around where my mother in law lives. 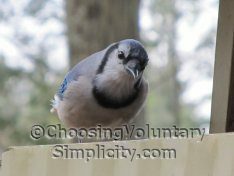 She started with a small patch of them in her flower garden and then they ‘jumped’ to another flower garden and onto the lawn. This last year they somehow got across the road onto the neighbor’s lawn. They were not pleased. I have always thought blood root is very beautiful though. I think it is interesting how the flowers even on the same plant may have a different number of petals. I have been trying to get these to spread for years with a little luck. I wonder why it is just seems to happen for some people and not for others. Bloodroot grows wild and abundantly in WV; I find it almost every time I go walking in the woods. I was surprised to learn that it is rare in the wild elsewhere. My grandpa loved wild flowers, and my grandma had a small garden area with just wild flowers. Bloodroot was one of the favorites, and I was able to transplant a small clump, so I can enjoy them, and think of my grandparents. I have Coral Bell from my other grandma! I think flowers are a great way to remember people, and keep them close to your heart.